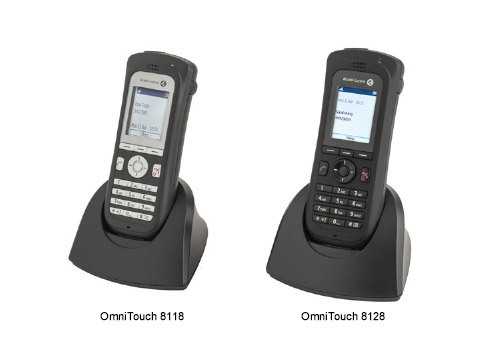 The Alcatel-Lucent OmniTouch™ 8118/8128 wireless LAN (WLAN) handsets provide a convenient and practical solution for any business environment. Both handsets are equipped with IEEE 802.11a/b/g standard radio support so that businesses can choose the Wi-Fi® implementation that best addresses their need for application segmentation, interference mitigation and user density. for workgroup communications on Alcatel-Lucent OmniPCX™ Enterprise Communication server.